We have been very fortunate with the weather this fall and have been in the field every day for the last three weeks. 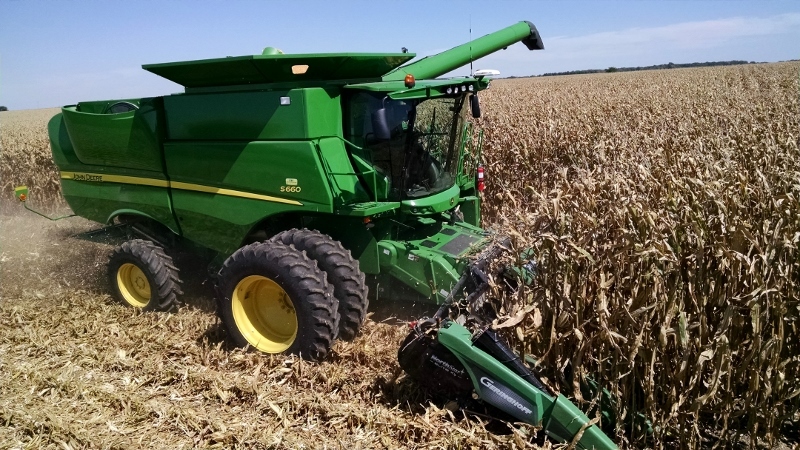 The yields have been even better than expected and the weather has really minimized the drying costs on the corn. This morning we were down to 200 acres of soybeans and 480 acres of corn to go, with a weather forecast showing more of the same. It looks like if we can hold things together it will be one of our quickest harvests and will be only surpassed in yields by the 2014 crop.